As I’ve mentioned in prior blogs, I became upset at the reaction of the vast majority my fellow white, older republican voters in Florida approving of the “not guilty vote” for George Zimmerman in the July , 2013 trial. This discovery was as a result of a pew poll which was conducted and published soon after the trial. I could not understand the lack of empathy for Trayvon Martin and his family. I felt the republican party was losing any semblance of a soul and I started to do some research as to how this could be remotely possible. This is when I started learning about ALEC, a conservative organization originally financed by the Koch brothers and Exxon; and then how ALEC along with the NRA enabled the “stand your ground” law to be legislated in 2005 in Florida which spread to 26 other republican majority legislative states in our great country. The Koch brothers have also heavily financed the various tea party groups which are for the most part white, republican and conservative. I now define myself as being a “non tea party” republican who feels Trayvon Martin and his family have been let down by the police and judicial system in Florida. I became literally obsessed with not just the lack of empathy for Trayvon Martin and his family but that the right seemed to be elevating George Zimmerman to the level of a hero. In my mind George Zimmerman is definitely no hero!!! I would warn any young lady with a half ounce of sense, to run for her life if she spotted him in her line of vision. This is when I decided to learn how to blog in August, 2013. Recently, I’ve received some kind and helpful comments. I was referred to another blogger who has a reputation for being an expert in the Trayvon Martin case, “whonoze.com.” I wish I had been aware of this site a bit earlier as it would have saved me a lot of research time. The author of “whonoze.com” has taken an analytical and scientific approach to detailing all the numerous issues with the investigative and prosecutorial problems with this case. It is one of the must read references for anything you want to know about the Trayvon Martin case. For the most part, this Italian grandmother from New Jersey, now living in Florida analyzed this Trayvon Martin case from a different perspective. I looked at this case more along the lines of a Ms. Marple character from one of Agatha Christie’s books. I studied the various actors in this tragedy as to how they portrayed themselves as compared to how they are described by others. I reviewed their past histories, observed how they interacted with others and also, in general, their behavioral patterns. Then I developed my theories in this case mostly by putting myself in the shoes of the person I was trying to figure out. I would ask the question, what would I be most likely to do in a certain set of circumstances if I was that person based on their particular motivation and profile. As for George Zimmerman, I reviewed his background. It is complicated and his history of having feelings of racism is mixed but I don’t see where in researching his background that he suffers from a level of racism which would explain his actions on the evening of 2/26/2012 that would meet the standards for a civil rights case. There is one period of time in 2005 by which he had an issue with excessive violence including: (1.) losing a part time evening security job he had held since 2001 for throwing a client in a fit of rage; (2. )his ex -fiancé filing a restraining order against him due to domestic violence: (3.) being charged for assault against a police officer while at a popular college bar with the agreement that the charge would be removed if he agreed to undergo an alcohol training class. All of this occurred in 2005 when he and his “significant other” were in the process of separating which for most folks is usually a period of weeks. At this time, he is estranged from his parents from whom there is a history of alleged long term abuse. He grew up in a household in which the parents were proud professionals and from what I can tell, appearances seemed to be everything. He has been raised in the Catholic faith for many years as a child; and as per his own admission he has been diagnosed with ADD from childhood by which he is prescribed medication. Yet, overall he has maintained a disciplined work history while trying to take outside courses which can be a challenge and a source of frustration for some with his diagnosis. He married in 2007, to Shellie Nicole Dean and he had friends he associated with on a regular basis. He seemed to be enjoying his position as a neighborhood watch captain in his “Retreat At Twin Lakes” development and he liked helping people and being looked up to for assistance. The appearances of life being somewhat stable despite some struggles for George Zimmerman ended starting the evening of 2/25/2012. (1.) 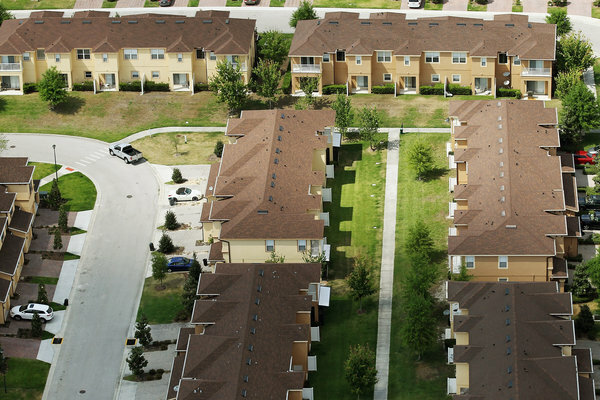 Frank Taaffe is the neighborhood watch partner to George Zimmerman and it is his home located next to the short cut used by the local kids to exit the “Retreat At Twin Lakes” development to travel to the local 7eleven. It stands to reason that Trayvon Martin would have also used this shortcut as it was raining outside. Frank Taaffe has alleged that there was a robbery by a Black suspect thwarted by George Zimmerman at Mr. Taaffe’s home, early February , 2012. Frank Taaffe and George Zimmerman live in close proximity on the same side of the street , “Retreat View Circle.” According to a “Mother Jones Magazine” expose, published in August, 2013 with ample documentation demonstrated that Frank Taaffe has a history of being a virulent racist. It is my speculation that Frank Taaffe observed Trayvon Martin walking past his house sometime prior to 7:00 PM as he had nothing better to do, that he then somehow managed to contact his friend, George Zimmerman ( or they were already hanging out together) to discuss the suspicious young black man in an hoodie walking in the rain surveying his house. The bloggers of whonoze.com have been able to track back and forth text messages from Mr. and Mrs. Zimmerman and a phone call between the both around the time Trayvon Martin could have been walking past Frank Taaffe’s home. One possibility is that Mr. Zimmerman was already at Frank Taaffe’s home or another is Frank Taaffe tried to call his watch partner who was not answering his messages or phone and so he decides to call Mrs. Zimmerman who relays the message to her husband. It is possible they had some other men type toys that neighborhood watch group members might use to contact each other.. Anyway whatever and however Frank Taaffe communicated, it triggered George Zimmerman into action. (2.) On the evening of 2/26/2012, George Zimmerman as per his past history was operating in an emotionally charged condition. 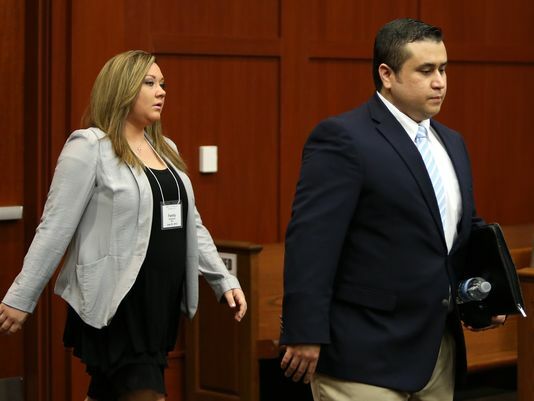 He and his wife Shellie Zimmerman had a huge argument the night before the shooting, and she had left the household. He had an entire day to work himself up into a righteous anger. We will never know if he had been drinking any alcohol. This information is based on Shellie Zimmerman’s own words stating that she had left the home at “Retreat At Twin Lakes” on 2/25/2012 after a devastating fight to reside with her Dad for awhile. In an exclusive ABC interview aired on August 29, 2013 it was revealed in an interview with reporter Christi O’Connor, a free lance journalist, that she claimed she “had walked out on him after a particularly nasty argument on the night before” he shot the young Trayvon Martin. Consequently, he was in very vulnerable, emotionally charged condition and if my guess is correct, he was agreeable when his friend, Frank Taaffe requested assistance regarding another one of those suspicious black young men maybe casing his house. As per George Zimmerman’s history, he does like to play the hero to his friends and he wouldn’t hesitate to find his gun, jump in his truck to start tracking “the suspect.” While George Zimmerman is not racist per se, his friend Frank Taaffe does fit this picture. It is so tragic, but with the probability of Frank Taaffe’s prompting, George Zimmerman did profile Trayvon as a criminal and pursued him accordingly in an emotionally charged condition despite being cautioned not to do so as police were in route by a police dispatcher. It now becomes obvious to me that the only reason Trayvon Martin was shot that fateful evening as an innocent 17 year old young man who was just walking home after doing a quick errand, was because he was Black and most likely walked past the home of a racist. (3.) So now George Zimmerman is in his truck with his gun trying to spot the suspicious Black male teenager in a hoodie walking in the rain as he drives up “Retreat View Circle” and he passes his friend’s Frank Taaffe’s home. When he finally sees Trayvon Martin, he calls the non emergency police line after 7:00 PM to speak with a dispatcher to request assistance regarding this situation. Trayvon Martin as an innocent 17 year old kid who had just completed a quick errand, is talking to a long time friend on his cell, Rachel Jeantel from around 6:54 PM. He is simply returning to the home he and his Dad had been residing as guests. He tells his friend that there is a strange white man looking at him and following him. She tells him to run which he does and at this time the cell phone disconnects. When George Zimmerman notices that his suspect is running away, he announces in frustration to the dispatcher, “these assholes always get away.” Then he decides to park his truck as pictured below while he is on the phone to follow the suspect. The route he would most likely take is the “Retreat View Circle” because he would be thinking the suspect would try to exit the southern exit. On the above map, this is the location of the blue dot to the far south right. He does run in this direction but he does not see anyone exiting the development via the southern exit. Meanwhile, he is on the phone, advising the dispatcher that he is on the way back to his vehicle. Trayvon reconnected back with his friend at 7:12 PM and he is short of breath from running as he believed he has escaped but he is close to his final destination. 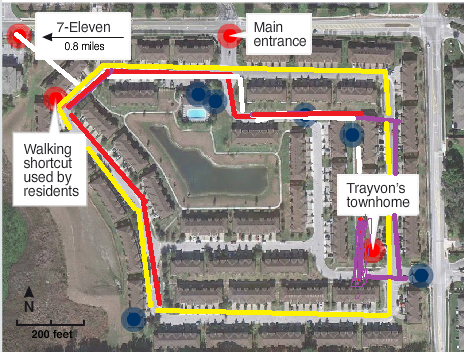 At this point, Mr. Zimmerman has planned to take the shortest route back to where he parked his truck and my guess this is the same area where Trayvon Martin and George Zimmerman connected which is the sidewalk located between the two sets of town houses. (4.) It is my opinion that George Zimmerman’s gun was out of his holster, bullet chambered ready to use prior to exiting his truck. My reasoning for this is based on his prior desire to possibly become a police officer. He did take criminal justice courses at a local Florida college. 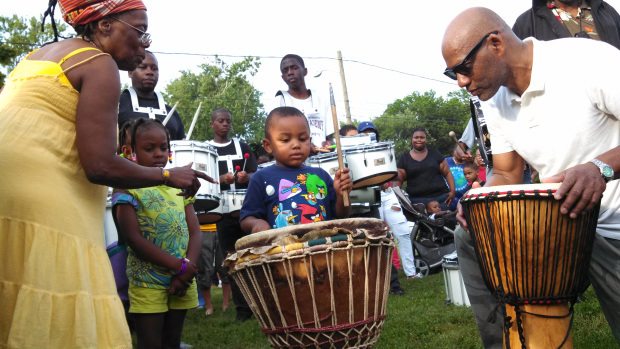 He did participate in a ride a long police program for 14 weeks. He spent quite a bit of time with a friend, a federal air marshal with a long history in law enforcement. This subject is something I cannot specifically verify via a resource. What I did to address this issue was to directly question different law enforcement officers without any reference to the Trayvon Martin case. 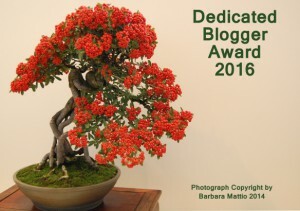 I welcome any reader to do the same. I asked under what circumstances would a law enforcement officer feel it was okay to exit a vehicle with their gun cocked, ready to use. The answer was consistent with just some variation in the words. A law enforcement would exit his vehicle with his gun ready to use whenever he perceives he may be entering into a potentially dangerous situation without knowing if the suspect or suspects are armed and /or what type of situation he is going to encounter. George Zimmerman as the neighborhood watch captain would like to emulate what would be expected of a well trained police officer (which he is not) and thus before he exited his truck, he would have his gun ready, bullet chambered. George Zimmerman is genuinely convinced he is tracking a suspect who is attempting to run away from him. He is concerned that he doesn’t know for sure the direction that the suspect seemed to disappear and he doesn’t know what he is walking into by exiting his truck. This act would only be logical for him. The major problem with his actions is that he is not a trained law enforcement officer and his judgment is completely lacking. (5.) 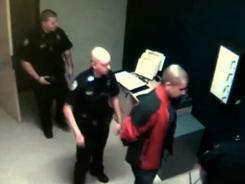 George Zimmerman did surprise Trayvon Martin and vice versa. I’m surmising George Zimmerman had his gun pointed down on his right side and Trayvon like any young Black teenager would, he panicked and started fighting as if his life depended on it because in his mind, IT DID!! Mr. Zimmerman was caught flat footed partly because due to his very recent running, he was out of shape. Also the Kel Tec PF9 semiautomatic gun he was carrying could not be thrown away as the bullet was already chambered and if Trayvon grabbed it , he could easily shoot him. If he had not already chambered the bullet then he could have thrown the gun away and landed some punches on Trayvon which would have extended some time while the police were in route . This is because it would have taken Trayvon two hands to hold the gun along with some training. If the gun was in the holster concealed in the back part of his pants as Mr. Zimmerman has always alleged, then Mr. Zimmerman would still have been able to fight Trayvon. As it was, while Trayvon Martin was fighting for his life, trying to pin him and hold him down while removing the gun, George Zimmerman shoots him in the torso at close range and the police were at the scene promptly. The best proof of my hypothesis is the fact of no bruises or marks on Trayvon’s hands with the exception of a scratch on the left ring finger and no bruises or markings on Mr. Zimmerman’s hands. Also, as per the trial demonstration, when the defense is showing how George Zimmerman is being straddled, it would have been impossible for him to remove the gun from the holster in the back of his pants at that point. The gun would have had to be out at the start. I’m definitely with whonoze.com on just about everything except this issue of the gun being cocked and ready to shoot before George Zimmerman exited his truck. I have also focused a lot on the issue of the photos of George Zimmerman’s injuries being suspect. The pictures were turned in much later after a police officer who called in with an explanation that he forgot to turn in the cell phone photos he took at the scene of the shooting and he needed to do so which was at a later date. This is definitely outside the chain of evidence protocol. Another point to consider is if one asks the question, what would have kept George Zimmerman from landing one punch and vice versa? Has any reasonable person in the real world ever observed a fight in which punches and blows (with someone believing their life is on the line) are exchanged by which the participants leave without any marks. bruises, etc. on their bodies? In this case I’m referring to the body from the neck down. How can you have a major fight with just blows to the nose and nothing else on any of the combatants’ bodies? (6.) As per the Sanford Police Investigator, D. Singleton’s admission to the FDLE and the FBI she was given the heads up by a fellow police officer that this case was a probable self defense case on the evening of 2/26/2012, before she had even begun her first interview. Incidentally I have not been able to find the map she and George Zimmerman drew to indicate his travels that evening that I heard about when listening to the audio recordings. On that evening, the police did not pull the police record of George Zimmerman which if they did, might have alerted them to issue a warrant to obtain a blood sample to test for Mr. Zimmerman’s alcohol levels. The next day, there were no police officials at the autopsy because this case was not being treated as anything other than a self defense case. It was not until it was discovered that as per Murphy’s Law, George Zimmerman shot an innocent kid who was simply walking home after having completed some purchases at the local 7eleven that any semblance of serious evidence collection processing starts. It is my opinion, that at this point, George Zimmerman, Mark Osterman and Frank Taaffe with the help of others went into full campaign mode by focusing on tarnishing Trayvon Martin’s image and by portraying George Zimmerman as a conscientious neighborhood watch captain working to protect his neighborhood against the rash of recent robberies. It is my opinion that the federal air marshal and former Sanford deputy, Mark Osterman may have used his prior work experience and contacts as a school resource officer to access to Trayvon Martin’s confidential school records which somehow were leaked to the Miami Herald Tribune reporter, Frances Robles just one month after Trayvon Martin was shot. I further speculate that he may have encouraged the padding of the October 2011 suspension form with the added found jewelry with a tool. The parents have vehemently denied ever having been informed about any found jewelry. 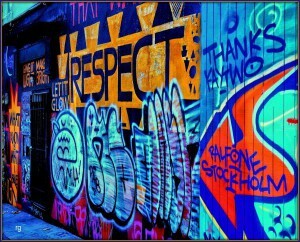 They claim knowledge of the graffiti art only. The school resource officer, Darryl Dunn is now stating that he did not share the information with the juvenile police system due to pressure from the Miami-Dade police chief goal to show a decrease in crime statistics. The problem with this excuse is that his not sharing with the police system would not have precluded him from sharing this crucial data with the parents. For example, the February, 2012 suspension form indicates that Trayvon martin possessed on school premises a bag with residual marijuana with a pipe. 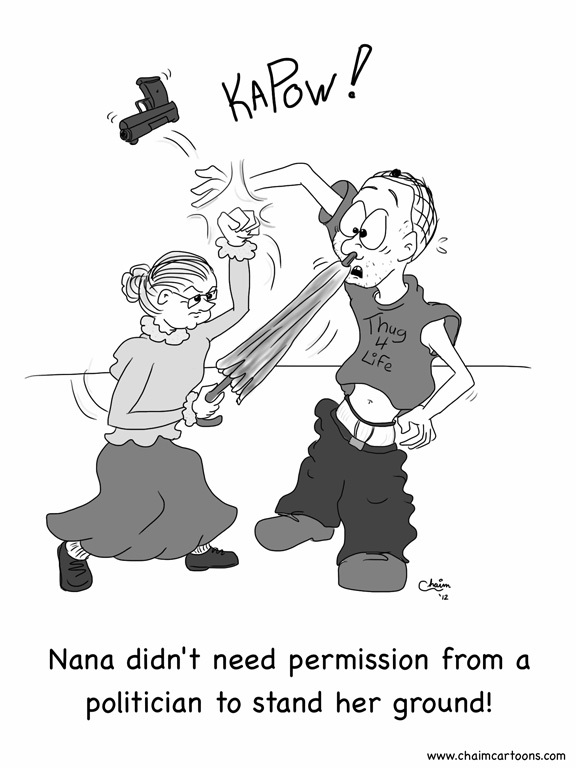 This information was not referred to the juvenile police system but it was shared with the parents as is appropriate. The question is how did the Miami Herald Tribune reporter Frances Robles have access to the above confidential school information just one month after the shooting of Trayvon Martin that the parents did not have. Then Frank Taaffe who has defended him on many TV talk shows, has openly admitted on an interview with Greta Van Susteren on FOX TV that he and George Zimmerman had met prior to his arrest to discuss talking points. According to Frank Taaffe, Mr. Zimmerman shared a list of several talking points that he wanted Frank to promote including a discussion of the Black man who was responsible for the attempted robbery on Frank’s home being also involved with the two other burglaries, and in addition, he was a young Black male who lived in the community. 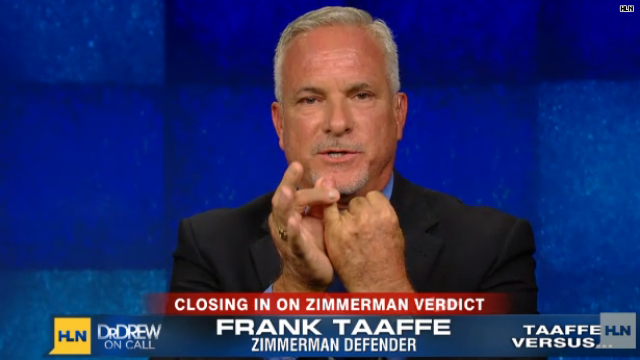 Then there is the question as to how Frank Taaffe was able to go on various TV shows many hours prior to the verdict being read, announcing his knowledge that the jury was split 5 to 1 in favor for George Zimmerman with one hold out. In one show, Nancy Grace completely discounted him. However later his information was verified by the jurist B37 on a CNN interview with Anderson Cooper. I have been questioning why the prosecution wouldn’t have taken action on this information as it was commented on at the time. One blogger is questioning if B37 wasn’t just a stealth jurist but a plant provided instructions during voir dire as to how to influence the other jurists from the beginning as per her blog, http://3chicspolitico.com/2013/07/23/juror-b37-mark-omara-and-jury-tampering/. Both Frank Taaffe and Mark Osterman may have meant well in their attempts to save their friend from the adverse consequences of this tragedy. All three have behaved in a way which I would describe as morally bankrupt. In the end having George Zimmerman not suffer any negative consequences from his actions on the evening of 2/26/2012 was not possible and they may have arguably done more harm. The public is still outraged by the sense of injustice that Trayvon Martin and his family have endured and these feelings will not be easily quieted. There is no “not guilty” vote which will fix this. It was not necessary to demean the reputation of Trayvon Martin in this case. The Florida “self defense” laws with the “stand your ground” underpinning already favored George Zimmerman. Every low brow way that could have been employed by George Zimmerman and his friends seemed to prevail with the Florida police investigative and judicial system being supportive with their lack of professionalism, thoroughness, competency and fair treatment of all the parties involved including the victim. Then the right Tea Party type conservative folks seemed to cheer these events! What ever happened to the conservative value that one should accept responsibility for one’s actions? George Zimmerman couldn’t seem to come forward due to his need of keeping up appearances by which he couldn’t simply admit he made a horrible mistake in judgment and thereby accept the responsibility for his actions along with the appropriate consequences. Instead, he and his friends had to coordinate a campaign to create a media event slanted towards blaming everyone else including Trayvon Martin except George Zimmerman. The rest is history. Now after the trial of July, 2013 when new stories regarding George Zimmerman have been unfolding and his true colors are coming to light, I’ve noticed that many of these conservative, Tea Party folks are no longer rushing in to defend his good name and reputation. It’s too bad they seemed to ignore a similar multitude of facts prior to the July 2013 trial. THESE TACTICS WERE SEEN FOR THE CALCULATED MANEUVERS THAT THEY WERE, AN ATTEMPT TO DEFLECT BLAME ON TO THE VICTIM AWAY FROM THE SHOOTER. THIS WAS THE RED FLAG THAT SIGNALED TO THE PUBLIC THAT THE POLICE WERE NOT SERIOUSLY INVESTIGATING THIS CASE AND JUSTICE WAS BEING SHORT CHANGED. THIS WAS WHAT CAUSED THE CHIEF, BILL LEE TO LOSE HIS JOB; THE LEAD INVESTIGATOR TO BE DEMOTED FOR GOING ALONG. THIS IS WHAT HAS CAPTURED THE PUBLIC’S’ ATTENTION TO WHERE THEY WERE NOT EASILY DEFLECTED. The above is just a short post, but it has links to a number of articles by Massad Ayoob, a renowned expert who was retained by the Zimmerman team as an expert witness. He was at the trial and you might find his insights interesting and I think they might give you some grounds to moderate your opinion. Now just for the record I don’t think Zimmerman is necessarily a model citizen. It really has nothing to do with whether he is, or whether he is a good guy or bad guy fundamentally, or whatever. All it has to do with is whether he was justified in using deadly force in self defense. The facts pretty much stand for themselves. Everything else is speculation and not admissible in a court, and rightly so. I will check his site. Thank you for sharing this. I have taken the time to read Massad Ayoob articles. I appreciate his knowledge of guns and law enforcement. He is obviously a competent expert but on behalf of the defense. However a lot of his presumptions are based on taking the word of George Zimmerman at face value. Based on his past history, I cannot do this. I refer you to witness 22 during the trial. This is an example of GZ character when he thinks someone is inferior and he believes he can get away with mistreating someone and how he lies about it to where the victim almost doubts himself. There is his misleading the court about his financial condition prior to trial by which his spouse was charged for perjury and he was sent back to prison before being released again at a much higher bail and then having to turn in a duplicate passport? This was a case in which the police did not independently verify GZ story at the start. They basically accepted his testimony. I can’t give GZ the benefit of the doubt. I give this to the victim. I admit that a lot of what I write is speculation and I always state as much. Unfortunately, at this stage this is why a lot of us are unsettled about how the police and judicial system worked on behalf of Trayvon Martin. George Zimmerman was treated favorably. 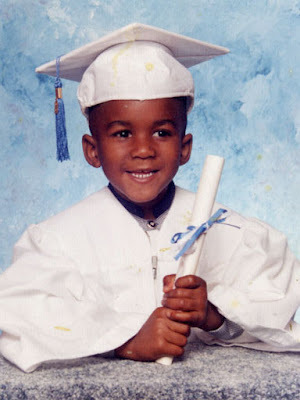 It is too bad that Trayvon Martin’s interest’s were not similarly protected and valued from the start. This is why this case started a public outcry that stretched around the world.